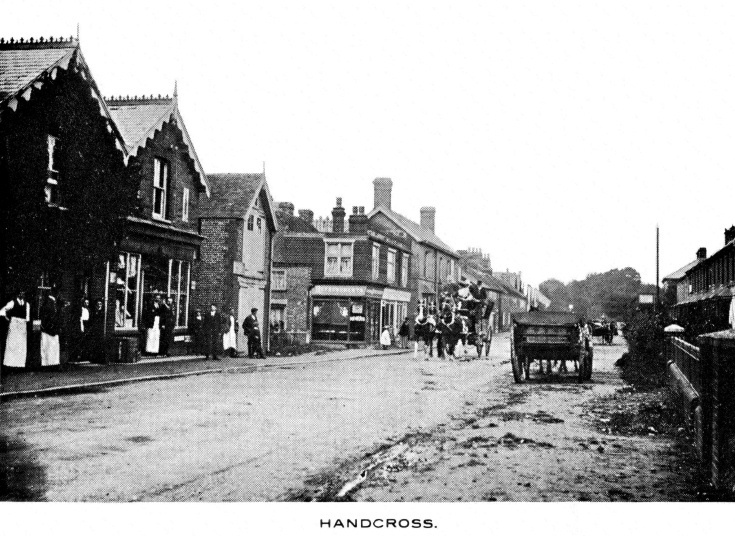 A rare photograph of a stagecoach clattering down Handcross High Street to disturb the usual peace and quiet. I wonder if on entering the village the coachman gave a couple of blasts on the post-horn to signal the imminent arrival of the coach. This would explain why several of the shop staff are outside on the pavement.